The Light Before Day is the third book in the Nantucket Legacy series. How is this book different from the two preceding novels? The series’ umbrella has been the historical rise and fall of Nantucket Island. 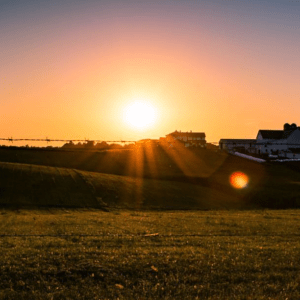 The Light Before Day captures the steep decline of Quaker Nantucket in the mid-nineteenth century after decades as the wealthiest port in the world. Hitty and Henry Macy, children in Minding the Light, are now young adults, facing dramatic change in the island they love. Astronomer Maria Mitchell, who was seeking a comet in this story (and eventually found it), became near and dear to my heart. And of course another favorite is Mary Coffin Starbuck—she’s woven all three books together through the secret in the journal she left behind. The Light Before Day has some unexpected surprises. What was the inspiration behind your creative plot? My inspiration was the actual historical events that were changing Nantucket in the 1830s and ’40s. Frederick Douglass, a former slave, gave his first public speech at the Atheneum, where astronomer Maria Mitchell worked as a librarian. The Great Fire of Nantucket, a historical event, was where I wanted this story to end. Getting there took some twists and turns. The Nantucket Legacy series often references the whaling industry. For Phoebe’s Light and Minding the Light, your research took you to a number of whaling museums. Did The Light Before Day require a different type of research? Much of the research for this book took place in the Nantucket Historical Association library, a treasure trove of trivia. I discovered curious details like the Cent School, disciplinary actions notated in Quaker meetings, and rumors about the source of cobbles for iconic Main Street. The NHA . . . it’s pure bliss for history buffs. Have you learned something new about the Quakers after researching and writing the Nantucket Legacy series? Mary Coffin Starbuck is credited with bringing Quakerism to Nantucket. From what I’ve read, she believed the island needed a religious scaffolding. Although she’d been opposed to Quaker theology as a young woman, she later embraced it and became a minister. Quaker values, such as honesty and frugality, contributed to a healthy foundation as Nantucket’s meteoric rise began. What do you hope readers gain from reading The Light Before Day? A financial windfall landed at the feet of Hitty and Henry Macy, but with it came a loss of personal freedom. All that glitters is not gold is the lesson of this book, even if it is, indeed, gold. Soon to release is Mending Fences, first in a new Amish series called The Deacon’s Family. It’s a story of two young adults, recently out of a rehab clinic, who end up on an unlikely place: an Amish farm. 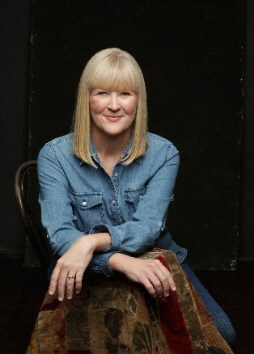 My website is the place to start and has a contact page: www.suzannewoodsfisher.com. Then there’s facebook: www.facebook.com/SuzanneWoodsFisherAuthor and instagram: @suzannewoodsfisher. I love to hear from readers! Bestselling author Suzanne Woods Fisher has captivated readers with her Nantucket Legacy series, including Phoebe’s Light and Minding the Light. 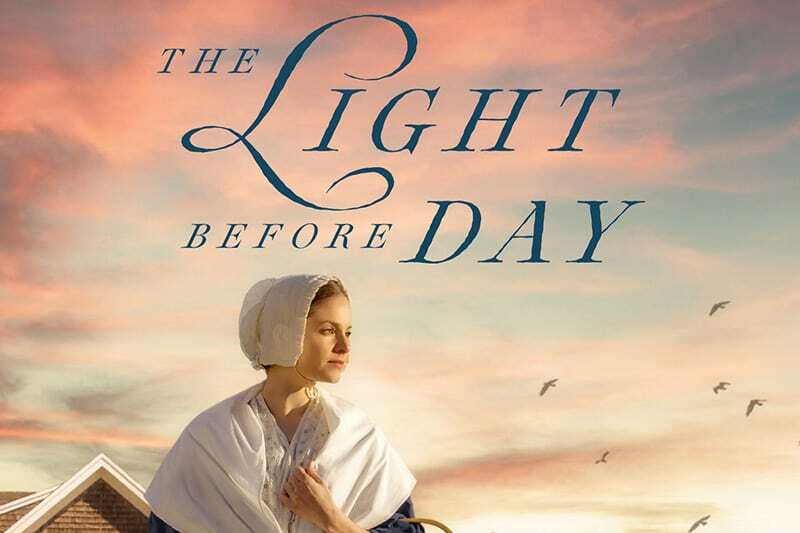 In the series’ dramatic conclusion, The Light Before Day, Fisher offers another fascinating story set in nineteenth-century Nantucket, based on a true event, that will both surprise and delight readers. It’s a tale of hope, renewal, love, and redemption. After three years on a whaling voyage, Henry Macy returns to Nantucket to find out that his grandmother, Lillian Coffin, has passed away. Henry and his sister, Hitty, are set to inherit their grandmother’s vast fortune—but the inheritance comes with a steep cost, including when they should marry and whom. If they relinquish the inheritance, it all goes to Tristram Macy, their father’s thieving business partner. As Hitty and Henry seek a way to satisfy the will’s conditions, they face obstacles on every side, causing them to wonder if the inheritance brings more curse than blessing. It may be that Lillian Coffin has the last word, after all. 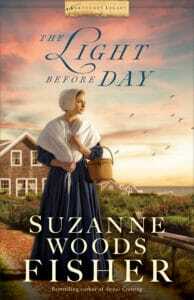 Suzanne Woods Fisher is an award-winning, bestselling author of more than two dozen novels, including Phoebe’s Light, Minding the Light, the Amish Beginnings series, The Bishop’s Family series, and The Inn at Eagle Hill series, as well as nonfiction books about the Amish, including Amish Peace and The Heart of the Amish. She lives in California. Learn more at www.suzannewoodsfisher.com and follow Suzanne on Twitter @suzannewfisher and Facebook at SuzanneWoodsFisherAuthor.